The pool will sit on a 3,000-square-foot patio of the full-third-floor unit of the 34-story tower. The apartment’s interior is also 3,000 square feet and boasts four bedrooms, four baths, 18-foot ceilings, and a private elevator. The building is still under construction, and the unit is not officially listed, but we doubt developer Efraim Tessler would turn away any potential buyers. 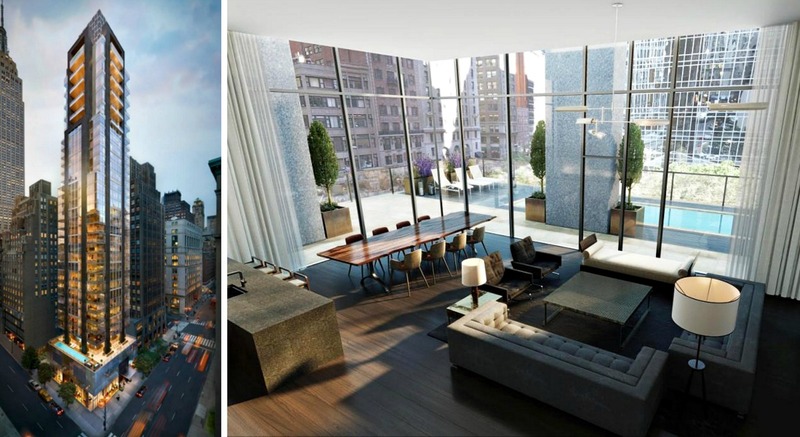 Stay up to date on all the listings at 172 Madison on CityRealty.